With “BESTHOME” products, pretty working class and housewives can now say GOODBYE to oil smoke? 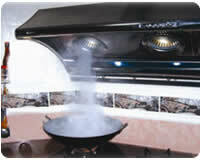 “BESTHOME” kitchen hood can help you to easily solve your problem of oil smoke resulted from cooking. You do not have to worry about the after maids of cooking. 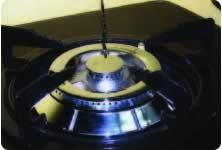 Different of “BESTHOME” cooker hood ? BEST HOME Kitchen Accessories Sdn Bhd has been established since the year 2001.We are an established company supplying a variety of kitchen appliances, including kitchen hoods and hobs, originated from European and Asian countries. In the years 2003 and 2005, we had been appointed as the sole agent of Sakura products in the southern region of Malaysia and whole Malaysia respectively. We specialize in the business of kitchen appliances and have successfully brought in several kitchen products to the Malaysians. For years, these products have been proven with their suitability to the needs of the Malaysian. BEST HOME cooking appliances are certainly one of them. It was first introduced to the market in early 2007 and has built its reputation as a quality product through its excellent performance to the needs. With these features incorporated into the products, Best Home will definitely improve the quality of hygiene and life-style of every house-hold in Malaysia. Since 2007 Copyright ©. Managed by Audi Jaya Holdings Sdn Bhd.